The title of this blog, as you might imagine (especially if you have read my past writings), is referring to the 100th anniversary of the Armenian Genocide. Actually, choosing the title of this blog took a bit more time than I thought because there were so many thoughts in my mind as to how I wanted to start this particular writing. In the end, I felt that saying “100 Years Later” summed up my thoughts and gave me a good starting point. As this is a centennial year, reflection and speculation are constants in our minds. We respect our history and in part wonder how life would have been different if a Genocide never occurred. In my upcoming documentary, Guardians of Music, one of the Armenian musicians I interviewed made the comment about the importance of our music and culture to us (as Armenians) and how our music, musicians, stories stopped one hundred years ago. This is reality and it is a bit scary and a sense of pride can be felt at the same time. Scary for the obvious reasons – what could have happened to Armenian music and our culture if a Genocide didn’t occur? Pride in knowing that through a handful (I say handful because we are not talking about thousands) of musicians, what was left to us, has survived to this point. When you take a deeper dive into this, you can also add more fear to how it was actually preserved. Our music is not found in museums, scholarly books, or preserved in universities. As a matter of fact, there is no musical notation of our music. Yet it survived 100 years. It survived by pure want of enjoyment. The enjoyment on both the musician and the listener. 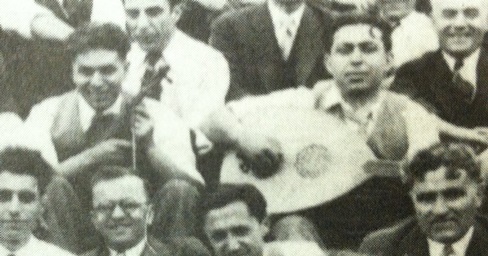 The listener was the refugee and first generation of Armenians that still had a close connection to our music and wanted to hear it played so they could dance. The musician was almost created out of necessity. So what happens to that necessity once the listeners and dancers no longer exist? This is the real fear as we look at the next 100 years. Our music is fragile and unstable to begin with, what happens to the preservation of it once the interest is gone to hear the music? I worry about this and those that love Armenian dance music should worry about it too. Case in point, I went to a church dance this past weekend (Paregentan = mardi gras party) and I was happy to hear some Armenian dance music. It was only played the first hour or so of this event then the rest of it was American music. When I was growing up, the American music was only a “filler” for the Armenian music, now it seems it is the other way around. It is an unconscious decision these days as I don’t feel the audience is knowingly refusing to hear our music. Quite the opposite as it is because our children have not been exposed to our music enough to appreciate it. So isn’t that what is missing? Why if we love and respect our music do we not try to pass it on as we would other areas of our culture? Every family has its set of traditions that we want to make sure continues to get handed down to the next generation. Whether its a an article of clothing or jewelry – these are traditions we hold dear because of its individualized meaning. Should we not also pass down the traditions of our forefathers when it comes to Armenian music? Arguably, I cant see anyone disagreeing with this, but the reality is it doesn’t always happen. Like many musicians, I would love it if my children played an instrument and event took an interest in playing Armenian music on an oud, violin, kanun, etc. I certainly would settle for them to at least appreciate the music. I play the music in my car all the time with my kids. Whats the harm if we did this a bit more with our younger generation? This leads to another important point I would like to make as it pertains to the preservation of our music. At times, we are also hoarding of our rich cultural history. I realize that this is a harsh word, but it best describes the actions of guarding and hiding for ourselves. In the past when it came to obtaining copies of musical recordings, photographs, or books, the answer I would sometimes hear is “No”. I have no doubt that this has aided in the effort to starve generations of our musical background and I don’t quite understand the motivation behind this action. I feel we are caretakers of our music, not owners. I commend other Armenians for doing their part to preserve and share our music. It takes a lot of effort and time to actively want to create and support projects which honor the past. Harry Kezelian is a Detroit Armenian that is very much interested in our music and he does more than just talk about it. He created a couple of websites that disseminate information about our music. You should check out Armenian Music Preservation as he is trying to build a database of information on the Armenian artists and the songs they performed. Monumental task and I hope he has the time and energy to complete. The other site is a blog called KefTimeUSA and he has some nice historical information, photos and actual audio samples of our past musicians. Another great example of sharing took place just yesterday. It was a one year requiem anniversary of a past priest, Rev. Gorun Shirikian. His family brought hundreds of photographs that Rev. Shirikian had accumulated over the years from different church events, Sunday School, dances, etc. Anything related to the church. The family brought the photos to give away. Instead of throwing them out, they decided to bring to church and let parishioners look through and take photos they wanted to have, especially if family members were in them. Some of the photos dated back to the early 1950s. What a nice gesture and I even found a nice photo of the Hye-Tones from 1970! So when you read this, I hope you will take the time to share our music with others. Share with children or a friend that has never heard of this music. The efforts we make create legacy for our music.